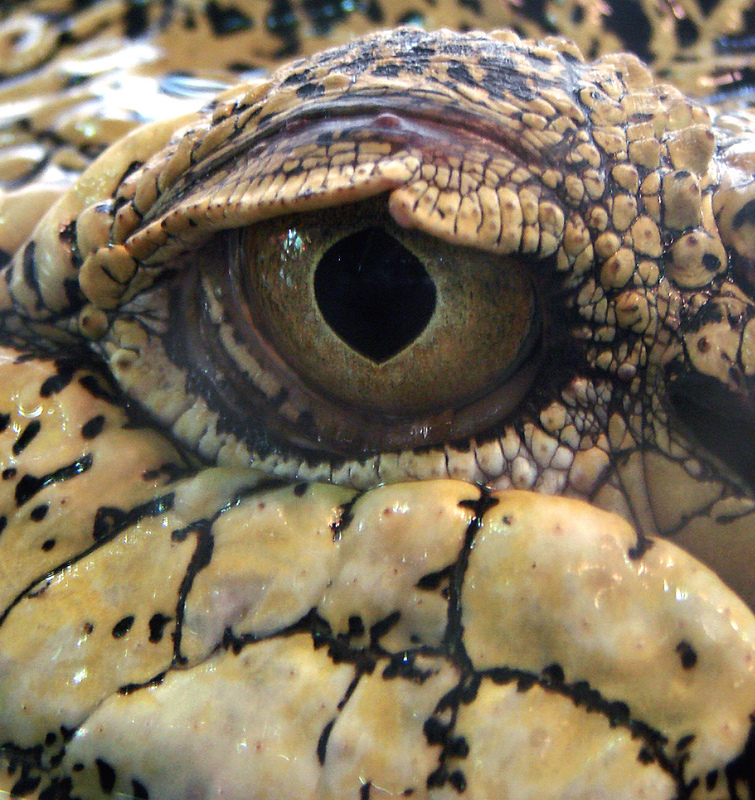 The world’s biggest living reptile is the saltwater crocodile. It lives in Northern Australia, Eastern India Coast and certain parts of South East Asia. 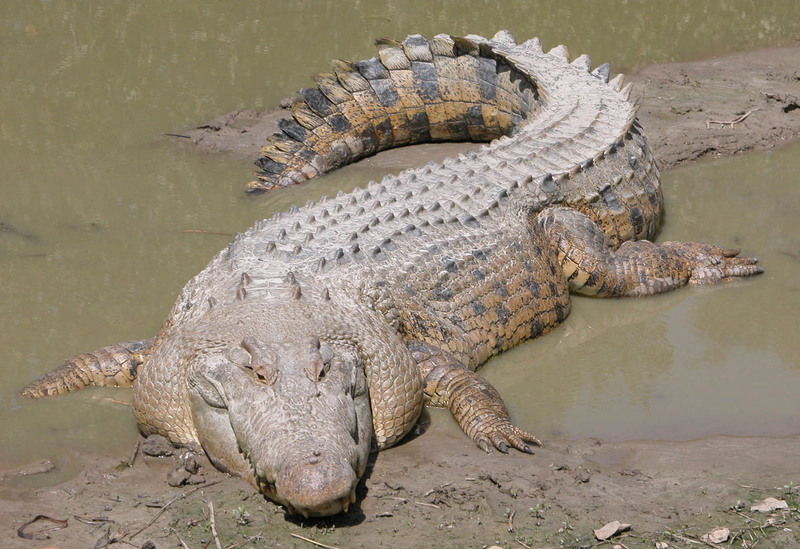 The adult male saltwater crocodile is about 4.5 to 5 meter (15 to 17 feet) long. It weighs from 600 to 1000kg (1300 – 2,200 lb) . The largest confirmed saltwater crocodile on record was 6.3 meter (20 feet 8 inches) long. It weighed over 1,360kg (3000lb). What a huge animal! The female saltwater crocodile is much smaller than the male. It is “only” about 2.1 to 3.5 metres (7- 11 feet). The largest female was about 4.2 meter (14 feet). They were on average about 450kg (1000 lb). There are extinct types of saltwater crocodile that were sometimes much larger. They could be 18 metres long! Saltwater crocodiles love the fresh water swamps and rivers during the wet season. During the dry season they will move to the wide river mouth. 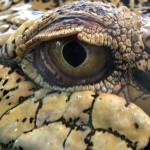 The crocodiles will fight each other fiercely for the best place to live. They can swim 15 to 18 miles per hour at their fastest and 2 to 3 miles per hour over long distances. The saltwater crocodile will just attack any animal that trespasses into its territory either in the water or on the land. Large saltwater crocodiles eat any animals at all including monkeys, kangaroos, wild boars, dingos, birds, cows, horses, humans, water buffaloes and even sharks. They can attack very suddenly and they prefer to hunt at night. They will usually wait patiently for their prey to get closer to the river bank and then drag the animal back into the water. The unlucky animal will be killed by the great jaw pressure of the saltwater crocodiles. In some cases the prey may be incidentally drowned in the attack. Baby saltwater crocodiles have to beware of monitor lizards, fish and birds.